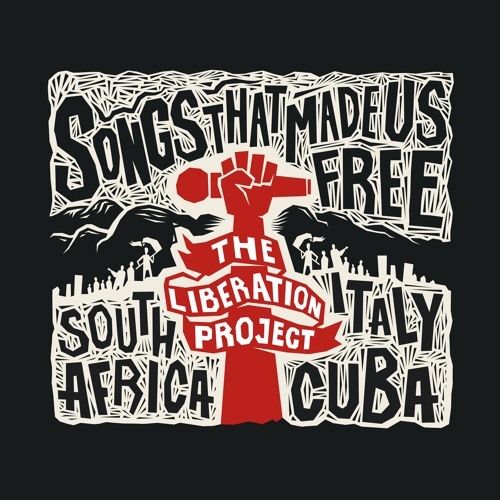 Eighteen months in the making, The Liberation Project entitled “Songs That Made Us Free (South Africa – Italy – Cuba)” is a unique concept album that includes 37 songs and features 142 musicians from 18 different countries. The three volumes have separate themes “ Celebration”, “Introspection” and “Inspiration”, with the music of each volume reflecting the various moods both musically and sonically. The album was produced by Neill Solomon, Dan Chiorboli and Phil Manzanera. The broader multi-cultural Liberation Project is proudly driven and anchored from South Africa and features a unique collaboration of musicians who joined forces to celebrate their liberation struggles from various different corners of the world with the main focus being on music from South Africa, Italy and Cuba. Musicians from countries as diverse as France, La Reunion, Guinea, Burundi, the USA, Brazil, the United Kingdom and others have contributed. International music heavyweights with human rights track records such as Phil Manzanera (Roxy Music & Pink Floyd), Juan de Marcos (from Cuba’s legendary Buena Vista Social Club), Cyril Neville (from New Orleans’ esteemed Neville Brothers), Italian icons Cisco Bellotti (Modena City Ramblers), Roberto Formignani (The Bluesmen) and pioneering DJ Miki the Dolphin as well as Guinean Kora master N’Faly Kouyate (Afro-Celt Sound System & Peter Gabriel) are amongst the many who selflessly supported and contributed their immense talents for the cause. Our very own Sipho “Hotstix” Mabuse played an integral part and also performed in the inaugural Acoustic Band set at the Cape Town International Jazz Festival. The arts kept the fire of liberation going. Music played a key role in both driving change and creating harmony during the Apartheid Regime. Music communicated messages through lyrics that had politically subversive meanings. Importantly so, it also allowed international audiences a view into the injustices suffered by the oppressed racial groups in South Africa. Music united South Africans at a time when every other aspect of life was dictated by race and culture. “With great pride this project offers us an opportunity to celebrate our fight for liberation to the world and offers a musical hand of solidarity and friendship to the countries and musicians who supported us during our struggle” comments Dan Chiorboli.